Hugh Maconald was born in Rumford Street Bridgeton on th 4th of April 1817,he was the eldest of eleven children, born to Malcolm Macdonald and his wife Margaret Mc Lean. He was an apprentice in the block printing business of Henry Monteith & Co Barrowfield. On leaving Barrowfield he then moved to Paisley where he remained until 1847, not much is written about his time in Paisley, Hugh returned to Bridgeton and opened a small provision shop, but he had an over generous heart and lost every penny, In 1848 Hough returned to his old trade of block printing . And one of his first fruits of the appointment was the appearance in the columns of The Citizen of the series of Rambles Round Glasgow under the signature of Caleb. 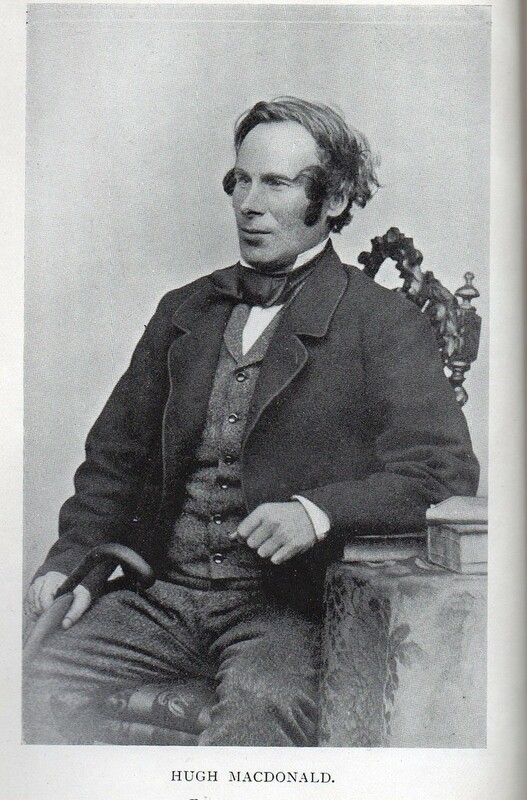 The papers aroused widespread interest and in 1854 the storys were published in book form, Hugh went on to work at the Glasgow Sentinel for a short period before being appointed editor of The Glasgow Times.